Sources at Peru’s Ministry of Energy and Mines (MINEM) confirmed that the country’s largest wind farm, situated in the southern Ica region, was opened for operations on Wednesday. The project is worth USD 165 million and is the result of a public-private joint venture between MINEM and Enel Peru. For the uninitiated, Enel Peru is the largest private sector electricity corporation in the country owned by Italian power company, Enel. The wind farm, constructed at Wayra I Park, consists of 42 enormous turbines that can generate up to 132 MW per day, enough to supply green energy to 482,000 families in the region. According to MINEM, the turbines will benefit from the southern winds around Nazca and produce electricity that is clean and eco-friendly. The Wayra I Park project has the capacity of producing 605 GWh electricity annually and will deliver power to households which suffer from inconsistent energy service. MINEM’s Francisco Ismodes said the wind farm will help the state to surpass its target of sourcing 5 percent of its overall energy requirements from renewable resources. 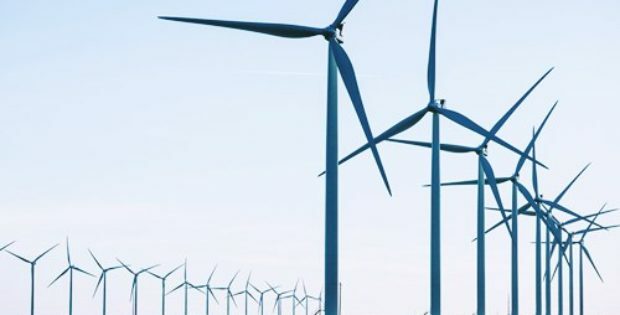 He also informed that using the turbines will lower the emission of carbon dioxide by almost 285,000 tons per year, drastically reducing the greenhouse gases in Peru’s atmosphere. Italy’s ambassador to Peru, Mauro Marsili and the Country Manager for Enel Peru, Jose Revuelta attended the Wayra I Park inauguration, where Revuelta articulated that the venture will effectively contribute to diversify the country’s energy matrix and make energy supply more reliable. MINEM on Wednesday also made an announcement regarding its efforts towards formulating a legislation to make investing in renewable energy market easier for companies, so that Peru can provide electricity to 100 percent of its rural population by 2021. Raul Garcia, the Deputy Minister of Electricity stated that the planned legislation will allow renewable energy companies, such as those in the solar and wind sectors, to compete against conventional energy sources.